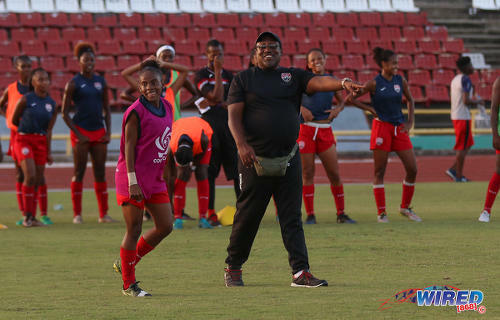 “For me it wasn’t about qualifying [when I accepted the job as women’s coach], it was about stability,” said Trinidad and Tobago Women’s National Under-20 Team head coach Jamaal Shabazz. 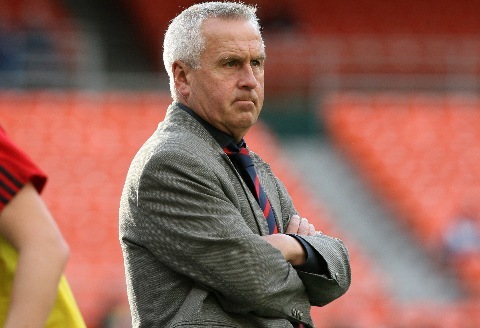 “It was about creating what we created back then, which was a framework for players to go on scholarship and develop. Photo: Trinidad and Tobago Women’s National Under-20 coach Jamaal Shabazz (right) issues instructiions to attacker Aaliyah Prince during practice at the Hasely Crawford Stadium on 9 January 2018. We have come to expect dominance from USA and Canada and even, in the past, Costa Rica was an emerging force. But now, you see Haiti’s programme bearing fruit and Mexico, with their local league. When I look at the (Mexico) roster, all their players are with clubs and it is bearing fruit. 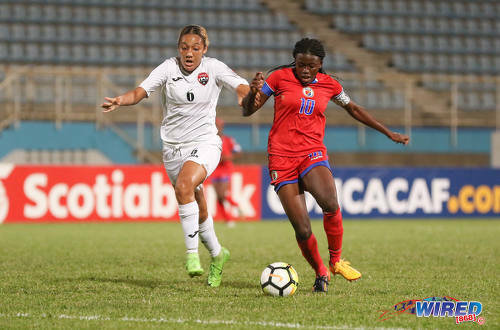 Maybe 15 years ago, Trinidad and Tobago and Jamaica were the forces in women’s football in the Caribbean, with Haiti running a distant third. Now they have gone past us. Shabazz: I think it is emphasis. Even in the (Jack) Warner days, he would ensure participation in the women’s game. 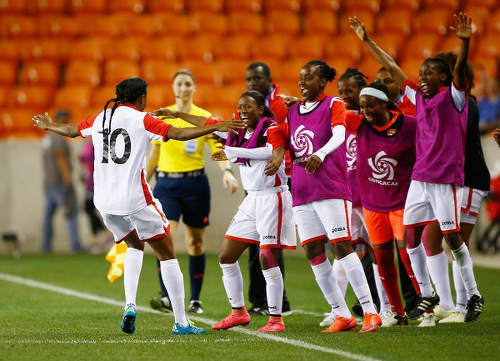 Back in 1991 when women’s football was relatively new to the region, Trinidad and Tobago would beat Mexico… From that time to now, Mexico have tried to move their programme from participation to competing and, in the last number of years, to qualifying. 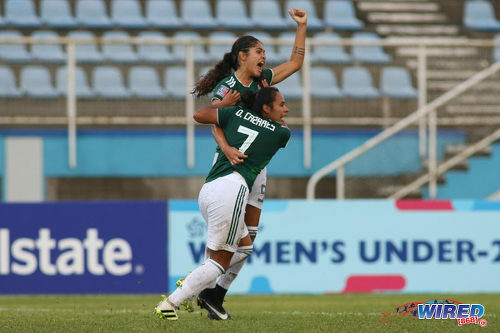 Photo: Mexico goal-scorer Dayana Cazares (right) and Daniela Espinosa celebrate their team’s opening item during CONCACAF Women’s U-20 action against USA at the Ato Boldon Stadium, Couva on 28 January 2018. That takes a certain level of commitment from not just players but administrators across the board. After Warner, we had [Raymond] Tim Kee, who had a difficult economic period, so the development aspect of the women’s game was absent. Shabazz: People like Abdul Rasheed in St Madeleine; he is deceased now. And Marlon Charles, Kester Lendor, Jinelle James, Izler Browne… We would go to the primary schools every year and we recruited a bunch of players who we would train four days a week—outside of the Federation (programme)—until they reached the Under-15 bracket. So these players came through some kind of development programme. 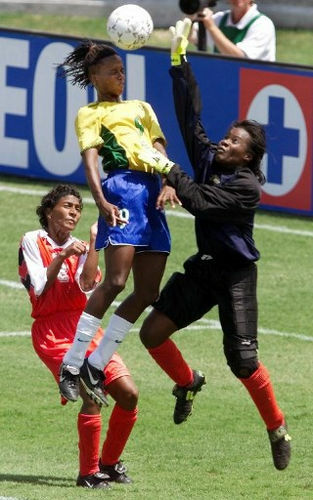 Photo: Brazil attacker Katia Da Silva (centre) tries to head the ball past T&T goalkeeper Nicole Mitchell (right) during a 2000 CONCACAF Women’s Gold Cup fixture in Louisville. Da Silva scored six times in Brazil’s 11-0 win. Wired868: When you say “across the country,” can you be more specific? Did we have someone in Tobago? How did we get a Kennya Cordner? And how was this funded? Shabazz: We had Corbin Cooper in Tobago and Arnold Murphy in South. We had Slim Andalcio in Toco. We had point people across the country who had a common interest and a common desire to develop the women’s game. For six months in 2000, we trained four days a week just doing technical development. The biggest problem was transport to get the children to come to training. 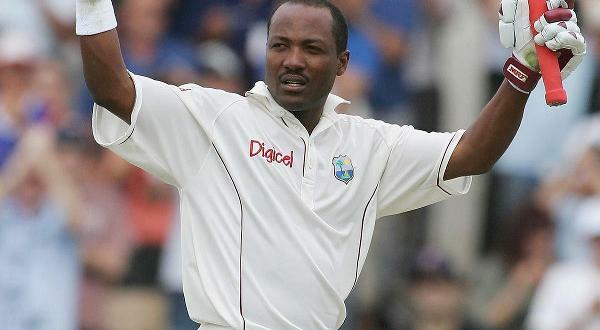 We used to train at Carib Ground and at UWI. We approached (former Director of Sport and Physical Education at UWI) Dr Iva Gloudon and she brought everybody together and made us develop a strategic plan and then she went and found the money for meals for the girls after training. Also some of the senior players like Izler would put money for transport and we would tell the girls if you don’t have the money for transport, borrow the money. 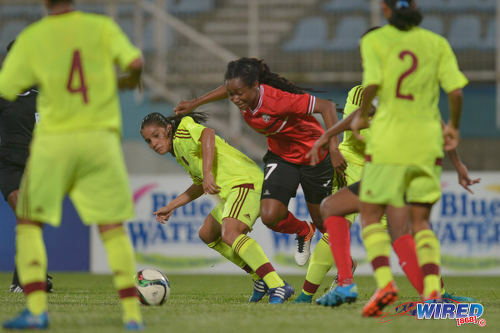 Photo: Trinidad and Tobago midfielder and captain Maylee Attin-Johnson (right) advances with the ball under pressure from Ecuador star Gianina Lattanzio during the first leg of the 2015 FIFA Play-off in Quito. Maylee was 13 years old then, some were 14. None were over 15. We contacted Bertille St Clair in Tobago and he put us in touch with Corbin Cooper. And this is how we got the Forbes sisters, who came as two 12-year-olds. They would come on a weekend and stay at my home. 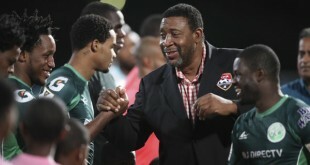 There were seven Tobago players. There was Candice—I can’t remember her surname—Karyn Forbes, Kimika Forbes, Kennya Cordner and several others. One or two of them had a place to stay in Trinidad and the rest would stay by me. I remember that, to get them to come, the former head of the THA, Orville London—he was a journalist then—went and spoke to their parents because they didn’t want to send them to Trinidad at first. Shabazz: Dr Gloudon would find the money. (Laughs). She was a phenomenal person in terms of getting things done. After about a year, the TTFA started to get involved with the team. In 2001, (Brazilian coach Rene) Simoes came and took over the whole men’s programme. When I asked Mr Warner if they would help us, he said they didn’t come for women’s football. But then we played the Men’s Under-17 team a practice game on the Hasely Crawford Stadium training ground and lost 5-1. 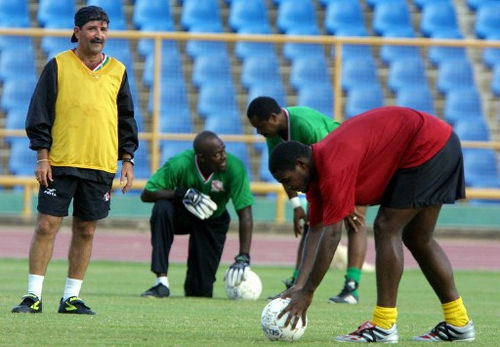 Photo: Trinidad and Tobago head coach Rene Simoes (left) conducts a training session at the Hasely Crawford Stadium in Port-of-Spain on 31 August 2001. Shabazz: He brought a tremendous amount of knowledge and know-how. I had been trained in [courses in] Brazil in ’88 and ’89 but what they brought was the practical application of how to do a programme—on and off the field. Things like nutrition and how the staff should operate as a group rather than one man and his dog kinda thing. Leal was phenomenal. That’s why I say he was the first master because we really, really learned. It was funny. People would pass and say ‘Jamaal, you’re licking the Brazilian’s bottom.’ (Laughs again) But it was a real eye-opener. I remember Dr Gloudon talking to me and encouraging me to submit because if I submit the other coaches [on the staff] would submit. 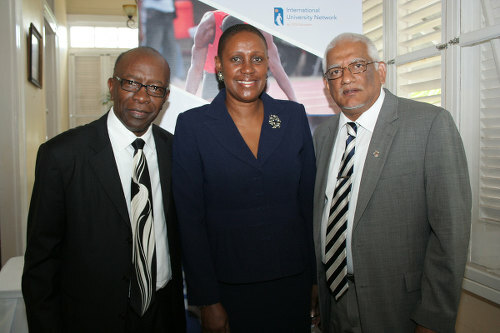 Photo: Then UWI vice-chancellor Professor Clement Sankat (right) and SPEC director Dr Iva Gloudon (centre) host FIFA vice-president Jack Warner during the setting up of a memorandum of understanding with FIFA in 2008. 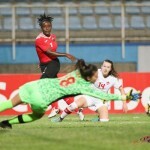 Gloudon played a key role in the development of women’s football in T&T. Photo: Trinidad and Tobago national women’s Under-15 team head coach, Marlon Charles. Photo: Former Trinidad and Tobago head coach Randy Waldrum (right) speaks to his players during a practice session in the United States in 2014. Photo: Former Trinidad and Tobago national women’s coach Even Pellerud. 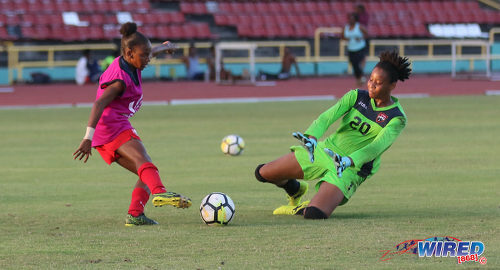 Photo: Attacker Aaliyah Prince (left) prepares to dribble goalkeeper Klil Keshwar during Trinidad and Tobago Women’s National Under-20 Team practice at the Hasely Crawford Stadium on 9 January 2018. 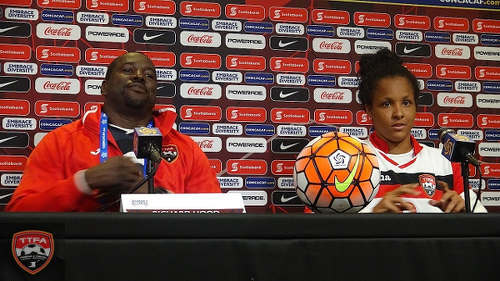 Photo: Then Trinidad and Tobago Women’s National Senior Team head coach Richard Hood (left) and captain Maylee Attin-Johnson at the post-game media conference on 11 February 2016 after a 2-1 Olympic qualifying win over Guatemala. 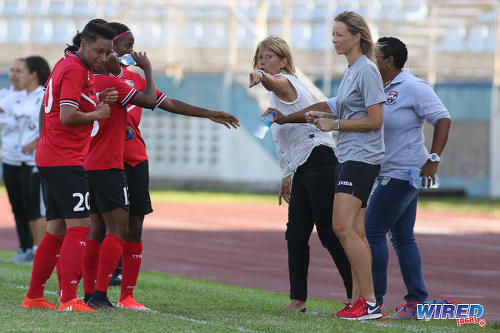 Photo: Then Trinidad and Tobago Women’s National Senior Team coach Carolina Morace (centre) makes a point to Lauryn Hutchinson (far left, foreground) and her teammates during international friendly action against Venezuela on 26 March 2017. 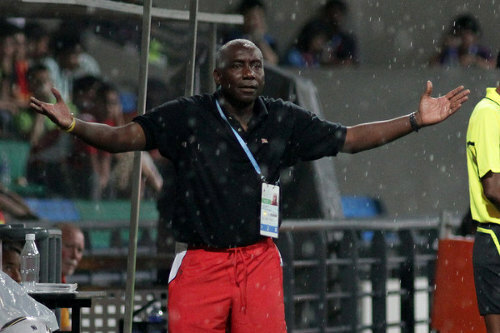 Photo: Trinidad and Tobago women’s national assistant coach Marlon Charles (back) instructs his team during an international fixture against Chile in the Singapore 2010 Youth Olympic Games (YOG) at the Jalan Besar Stadium in Singapore, Aug 12, 2010. Chile won 1-0. 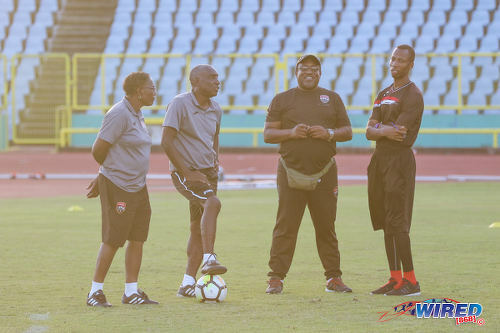 Photo: Trinidad and Tobago Women’s National Under-20 coach Jamaal Shabazz (second from right) talks to fellow technical staff members (from left) Desiree Sarjeant, Marlon Charles and Saran Joseph during practice at the Hasely Crawford Stadium on 9 January 2018. 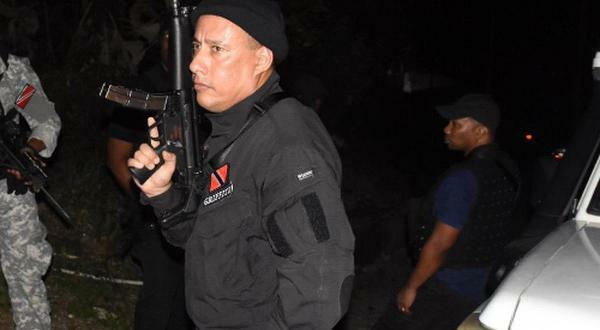 Next Dear Editor: What’s TTPS’ plan, Mr CoP, for pulling back runaway murder and crime? There isn’t a proper Women’s league in the country.. Even the SSFL has no development for the males far more the females..
Oh larrrd, Jamaal is a good pal but I ent too sure he makin much sense. If he sees himself as a development coach for women football then he should be placed in that capacity. Results-oriented coaches should be appointed as head coaches of the various teams. The ultimate goal of the senior women team ought to be qualification for 2019 World Cup and 2020 Olympics. The mandate of the head coach should be synchronized with that goal. And that mandate can be broken down into a phased process starting with Caribbean dominance. 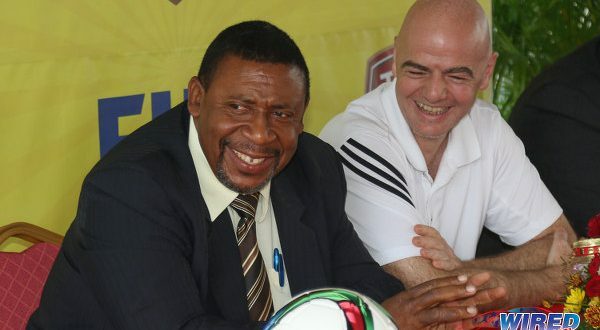 Anything otherwise, will be an exercise in excuses much the same as Jamaal has so elequently expressed following failure of the Women U17 and U20 teams at recent CFU and CONCACAF World Cup Qualifying Tournaments – both of which he guided as head coach. You go to a tournament to qualify not to showcase but after reading this interview I now believe why certain players were allowed to start or even play while the other players on the bench who were already on scholarships were not given a chance to showcase their talent. These girls trained there were some that should if gone back to school but stayed and who was even more talented than some fitness level even higher but were down played because Shabaz want his scouts that he invited to see his favorite player.come on nah man. Note this program was brought by Corneal. Marlon Charles has paid his dues ,he has put in the work ,has coached at all levels . 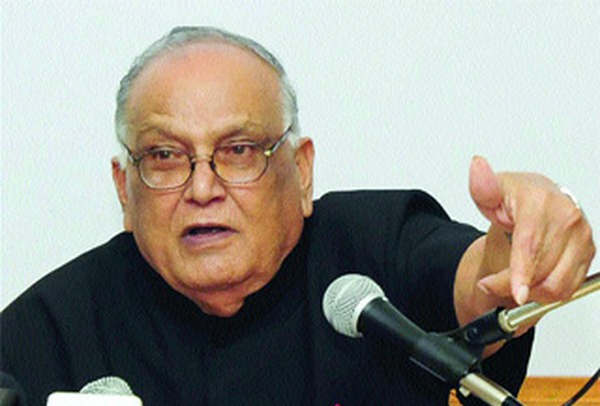 I wonder if he was ever given a free hand to express his philosophy as he did with Jane Public. Ten yers ago Corneal and Shabazz initiated a women’s program designed to the same things spoken about here, promises were made, and none fulfilled, I will find the photos and post them here. So this is not news to me. I was invited and told bring present women coaches that I knew wanted to be involved to develop players, we have heard nothing of it since. Brian, correct me if I’m wrong, but I don’t even recall DJW publicly addressing Morace and her staff’s departure. Nope. He doesn’t really communicate to stakeholders, hence one of the reasons for the lack of supporter buy in. Who is going to hold him accountable? He hasn’t addressed our senior world cup campaign either. Nor has anyone else to date. Is there a public relations person or staff still? Those folks seem to be overly quiet. Whether by their own will or by DJW’s.. I heard a player was called to tell her she will be included on the next game, in a position she does not play at usually, her phone was stolen (players had their belonging stolen at practice and no form of compensation was given except to the Canadian-based player) to they had to call her Dad. Why was she home? Do you call a player to relay that type of info? Can the coach communicate, this is a local downfall, communication is not always clear, many players walk onto the field not knowing what is required of them. A coach transferring confidence to his players is always a factor on winning teams. All about believing in them so they could believe in themselves. That was always the plan, this was always done. That alone 8s not enough though. When you get them together you have to impart progressive knowledge. What worked in 1995 is irrelevant today. This article read like a bed time story; full of history with a closing lollabye. With so many words about coaching, development, technical; its glaring that I never saw him use the word tactical. Application of proper tactics is a primary responsibility of any national coach. I kinda upset that Shabazz have the formula for grooming kids since 19 oh long and hasn’t been using it for all national teams all these years: scout in all areas, train 4 times a week and keep them together. Real simple and we waste plenty money not doing those things over the years. True. And maybe Iva Gloudon should have an executive role too since she essentially put programme together AND raised the funds for it. Gally Cummings was a confident coach. I am confused about him accepting a job and having no confidence..my impression is that he may be a good coach but he surely lacks confidence … he does not speak as a confident coach. How does that transfer to a young team… a coach has to exude confidence and players will become confident. Waldrun was like that… confident. Pellerud was a confident coach. I hear Shawnalee and Kadee played injured, they received 30 injections combined after the 1st game and we continued to play them in subsequent games, why was that if we were showcasing the players for scholarship? Goalkeeper had a torn ligament in her shoulder and right big toe for the final group match. So what did we gain by hosting the tournament? What did we hope to gain by hosting the tournament? 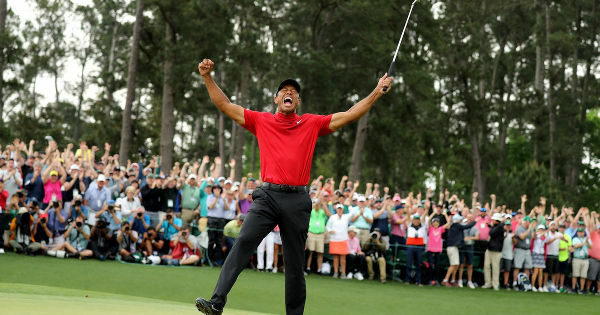 When was the decision made to host the tournament and by whom? Would be interesting to see the financial statements. Any word on the larceny of the girls’ belongings from the Manny Ramjohn Stadium the week prior to the tournament? Were there any stated goals by DJW and/or Technical Committee when Shabazz took over, or was it a case of try ah ting and do what yuh could? What were the goals when Morace was appointed? Ah mean DJW was talking loud and clear when he gave Tom the Cat an ultimatum, right? So what is different now, dey just eh care? 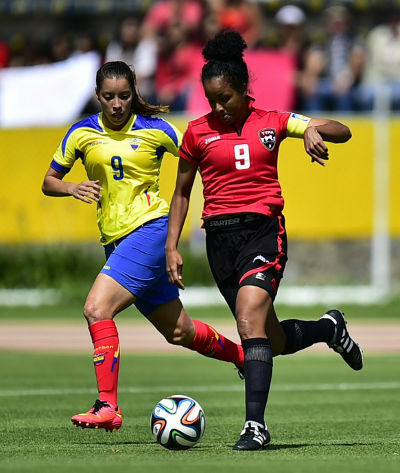 In an entire year, the women got two international friendlies with a young Venezuela team. And that was it. 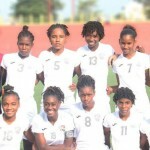 At present, the Trinidad and Tobago Women’s National Senior Team is literally the only Caribbean champions in our game. They’re the last winners standing. In May, they will try to retain their crown and qualify for the CONCACAF Championship as the first step of their 2019 World Cup bid. And yet still, we eh know what relly going on with that program, and is February. We hadda rely on who see who at what stadium training. And still no official word on if dey participating in the Cyprus Women’s Cup. Nigel, they are going to Cyprus. More on that in Part Two. Really Lasana? Because I just checked the tournament’s Facebook Page, and the most recent post (about an hour ago) says that we’ve been replaced by South Korea.? Nigel, I will follow that up straight away. OK, good. I see they have updated their website as well, and we are no longer listed in the fixtures section. Well Nigel you were very accurate, I would like o read what part 2 says about this now. Shabazz gotta be kidding here mayne! wah kindah mamaguy scene is this? Good interview. If all the reader is interested in is the very interesting insights and anecdotes Shabaaz provides regarding the development and performance of selected national players and teams. And Shabaaz has played his part in that, no doubt. The historical lack of seriousness and attention in TTFF/TTFA’s handling of the women’s game is a long and winding thread that underpins all that he says. And he is correct. That does not absolve the current TTFA administration and/or Shabaaz himself from responsibility for, 1} the gross under-preparation of the Undr-20 team, and b} misleading the public regarding this team’s readiness to perform in the tournament. The team lacked the basic essentials necessary to competitive performance at international level – physical fitness, an effective tactical plan, mental toughness – and Shabaaz is on record as saying that they were “ready” mere days prior to kick off. He cannot now hide behind a “lack of resources” as an excuse for a poor performance. because, clearly and from his words, we must also conclude that the coaching staff was ALSO lacking in readiness for international competition. When we hear from the head coach that his priority is preparing players for scholarships at US schools and to “maintain stability” then we understand that this team never had a ghost of a chance. For allowing our national coaching staff to turn our national team into a coaching school with a private vision and philosophy we must thank the TTFA and those within it who hold administrative responsibility for our national teams, i.e. the Technical Director, the Director of Football, the Technical Committee and, ultimately, the Board of Directors. 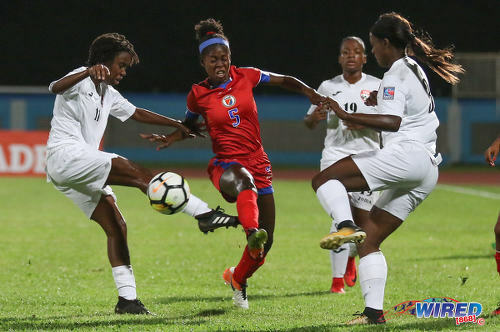 The woeful performance of the Women’s Under-20 team cannot be dissociated from the woeful performance of ALL our other national teams ver the past two years or so. We are now the laughing stock of the Caribbean. It is clear that TTFA fails to understand the basic requirements of staff appointment and preparation for international competition. The foolishness must end. I have asked for a report on the tam and the tournament be added to the Agenda of my first TTFA Board meeting, which is scheduled for 15 February. 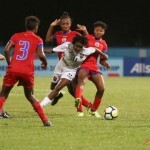 The woeful performance of the Women’s Under-20 team cannot be dissociated from the woeful performance of ALL our other national teams over the past two years or so. We are now the laughing stock of the Caribbean. It is clear that TTFA fails to understand the basic requirements of staff appointment and preparation for international competition. The foolishness must end. I have asked for a report on the team and the tournament to be added to the Agenda of my first TTFA Board meeting, which is scheduled for 15 February. All I have to say is “Boom! !” Yuh eh talk dey, yuh preach!